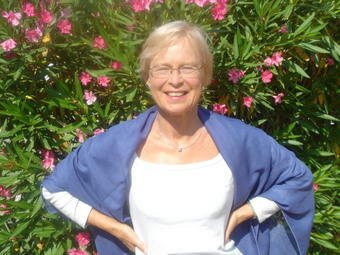 I was an ESL teacher myself for over 30 years principally in France. I taught at both high school and at university levels, and I worked several years at formal teacher training as the coordinator of the English department at CPR (today IUFM). I was a tenured professor for the last 25 years of my teaching career at INPG (a group of 9 engineering schools located in Grenoble, France). At INPG I set up (at 3 different engineering schools) "teams of teachers" working each time on a different "core curriculum". However, I have never forgotten, how lonely I felt at the beginning when I first became a certified teacher in France and started teaching in a high school. I had the same feeling of loneliness when I started at the university (INPG). I know I would have appreciated someone saying to me, "Look, this is a wonderful exercise. Here are the documents, and this how it is best to use them." That is why today I wish to devote time to helping young ESL teachers, who are setting out on teaching careers at institutes of higher learning in France or in other places of the world. I have always loved teaching. Above all I enjoyed the special relationships I had both with my students and the wonderful young colleagues I worked with. During the last years of my university career numerous former students as well as my colleagues said I should find some way of teaching others the "method" I had developed. They claimed they had learned a great from me and encouraged me to write about the way I motivated students to learn to speak "correct English". When I discovered the tremendous educational potential of information technology, I decided that I would write a "digital resource book" with hyperlinks to a document annex containing most of the materials I has created over the years. Later I decided to include work done by my students during the course in the form of written exercises, talk handouts, PowerPoint presentations and even films. The final project became a DVD with more than 1, 500 files! The book "QualityTime-ESL: The Digital Resource Book" is a series of conversations with all the advice I have given my young colleagues over the years. The advice is expressed in language that is very easy to understand. Furthermore, the techniques I describe can be used both in schools where there is elaborate audio-visual/Internet equipment and in places where the tools are limited to the strict minimum: one computer and a printer! Today we live in an Information Age with communication opportunities everywhere for those who know how to use them. However, I believe that in our day and age more than ever there is a need for mentoring. We need to teach each other what we are able to learn. From others I have learned about the Internet, Web pages, editing film and much more. I have set up this web site on my own with only free software (SPIP) and help from friends, family and people I have met on the Internet. That is why I am pursuing this task, a task that will enable me to make my work over the years available to others. It is my hope that young teachers will use these teaching materials to gain confidence and then produce their own, personalized documents and exercises. Teachers will experiment with the techniques I speak about and then go on to invent their own "effective ways of teaching ESL". I have found during my entire career in France that there is very little teamwork among teachers today (even among those working at the same institution). In the book "QualityTime-ESL.com" I speak at great length about all the advantages of working as a team in the hope of persuading others to make the effort of collaborating with their colleagues. Even if initially such teamwork seems difficult, in the long run it provides countless advantages for both teachers and students. Teaching documents that can be "personalized"
Concerning the purchase of published materials I have seen that most universities or engineering schools buy just one copy of a book (manual and/or student book), and then they photocopy enough sheets for their students. Thus we have the almost same situation today in the educational publishing industry as the music industry with all the illegal downloading that is going on. In a way I understand the position of teachers, who say they are only interested in one single exercise or one text in a book, and thus do not find it worth their while buying such a book. It is true ESL books can be very expensive. A solution has to be found. Apple has come up with the system "iTunes". In the future there might be a system called "iTeach", which could be a good way of selling exercises and documents for the "teaching industry". An additional demand on the part of teachers is the possibility to "personalize" the documents they find to make them suit the needs of theit students. This book "QualityTime-ESL: The Digital Resource Book" on a DVD together with the 50-minute film "Scenes from an ESL Classroom" is a start, a small first step in that direction. "QualityTime-ESL: The Digital Resource Book"
I have worked 4 years to put together what I call the "Document Annex", which contains all the material I have elaborated over the past years. I have also written a book to which I have given the title QualityTime-ESL: The Digital Resource >Book and which contains more than 26 chapters about my personal experience and how I put together language programs with a core curriculum in the different places where I worked. Through this website I hope I will be able to communicate with others and "pass on" some of the expertise I have acquired over the years. I will also make available on this website some of the material I have written as illustrations of my work. However, the easiest way to access the teaching materials is through the 2 DVDs which can be purchased i.e. the book and the 50-minute film. Any advice or encouragement I may receive from others will be more than welcome. I have over the years been helped by colleagues, and in my book there is a whole chapter dealing with "Learning from Others or One Idea Can Go a Very Long Way". I hope that young ESL teachers everywhere will be able to profit from my experience, which they can read about in the book. The novel aspect of this "digital" resource book is the fact that if teachers read it on the computer, they can click on the hyperlinks and actually see instantaneously on their screens the documents they need for the activities I speak about. This should help them, in the long run, to develop effective and efficient teaching programs of their own. That, in a word, is my current mission: helping others get started so that they can go on to create their own teaching materials. Former colleagues have written to say how thanks to this QualityTime method they went on to develop their own teaching materials cf. the testimonials by Anna Jeannesson and Penelope Moffatt. In conclusion I would like to say that "QualityTime-ESL: The Digital Resource Book" is intended to show teachers an entirely different approach to the student/teacher relationship. There are numerous language exercises as well as documents specifying how students can perfect their presentation skills. As you can read in the two testimonials from former colleagues, my "method/approach" has incited former colleagues to ultimately create their own teaching materials based on the "philosophy" of "QualityTime-ESL: The Digital Resource Book". This is not a "set" method but "a way of teaching" that each person can progressively adapt to his or her own needs and personality. I hope readers will enjoy the different chapters of the book and be able to use the hyperlinks to locate and copy from the DVD any documents that could be of interest to them.